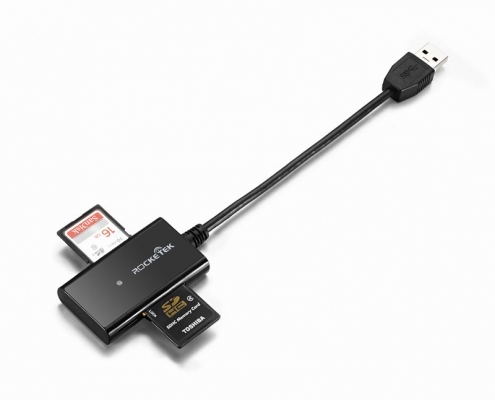 -This Card Reader Read 2 different memory cards simultaneously. 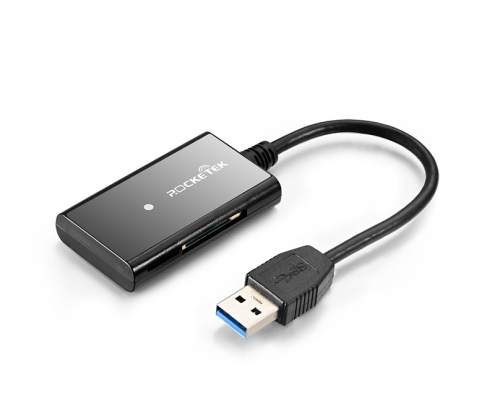 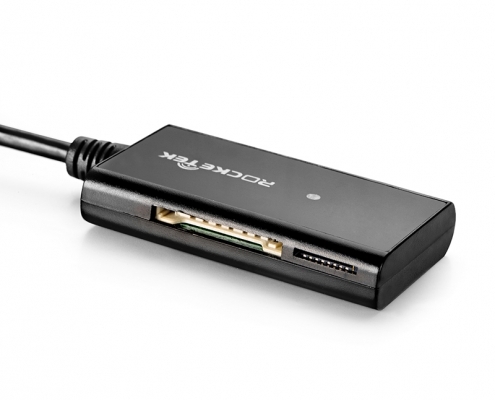 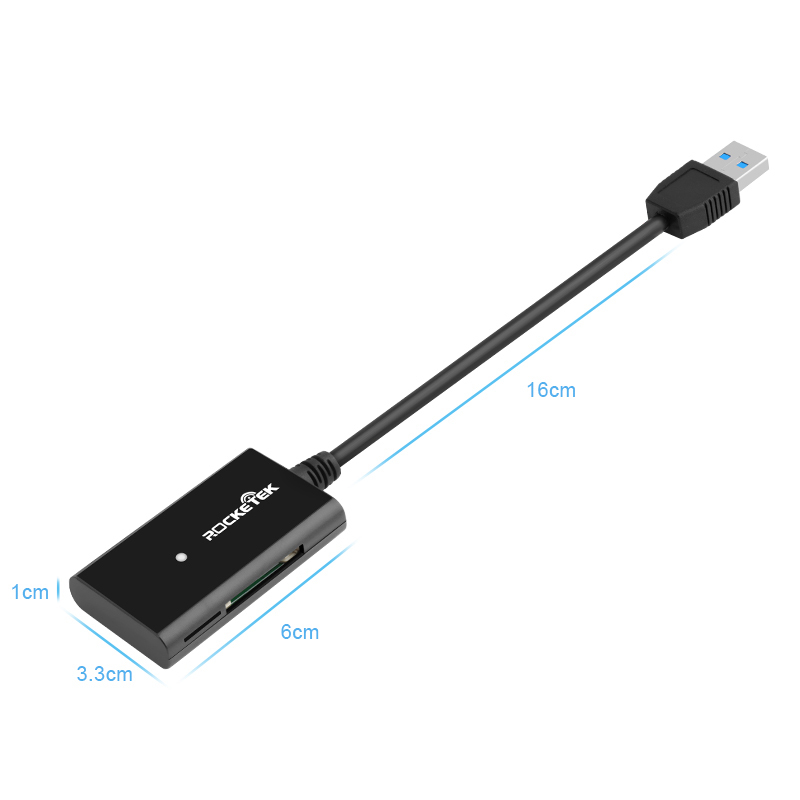 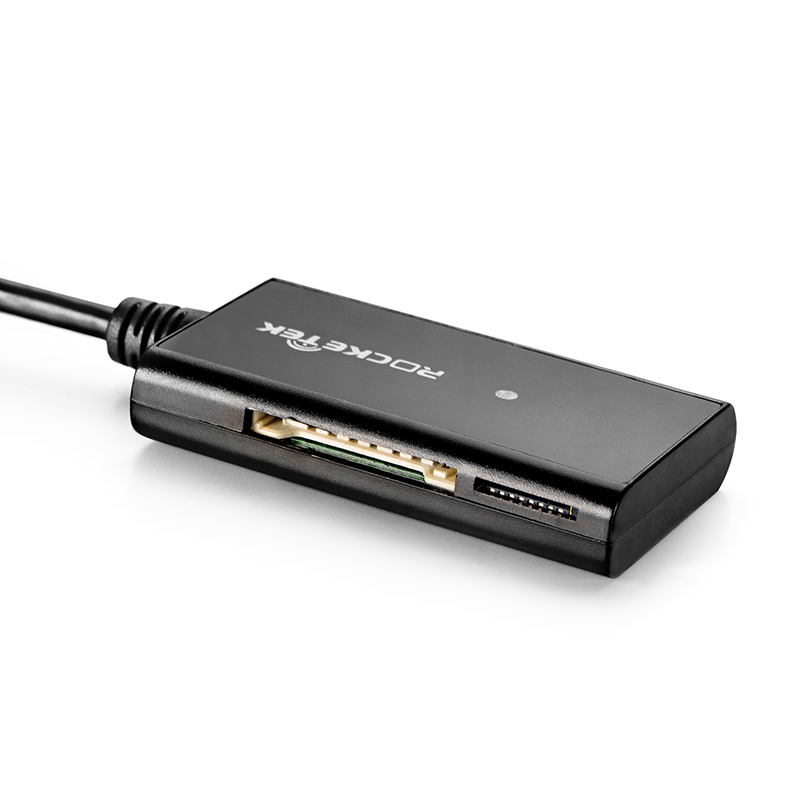 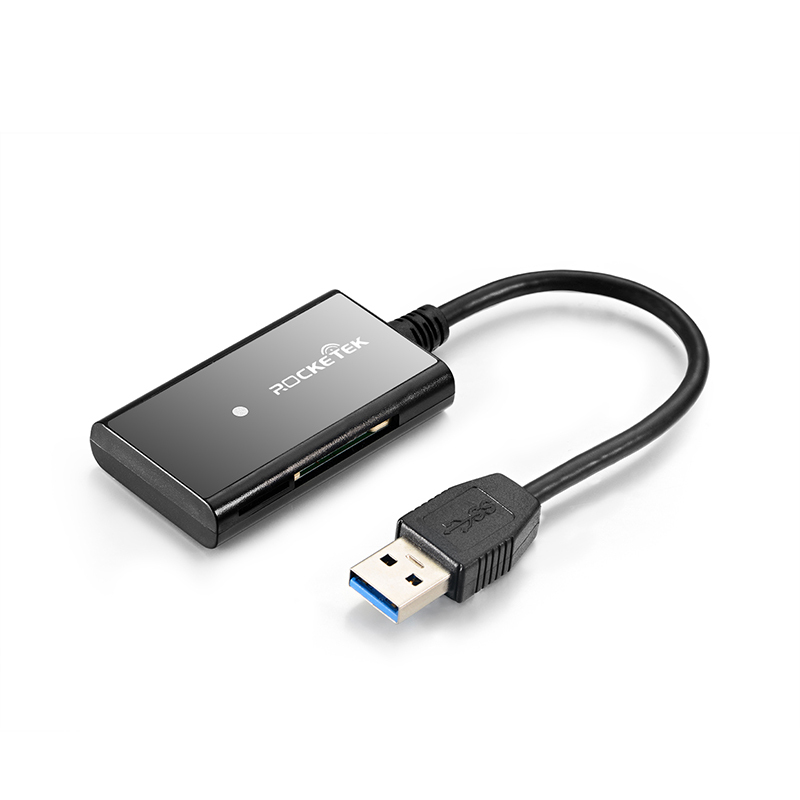 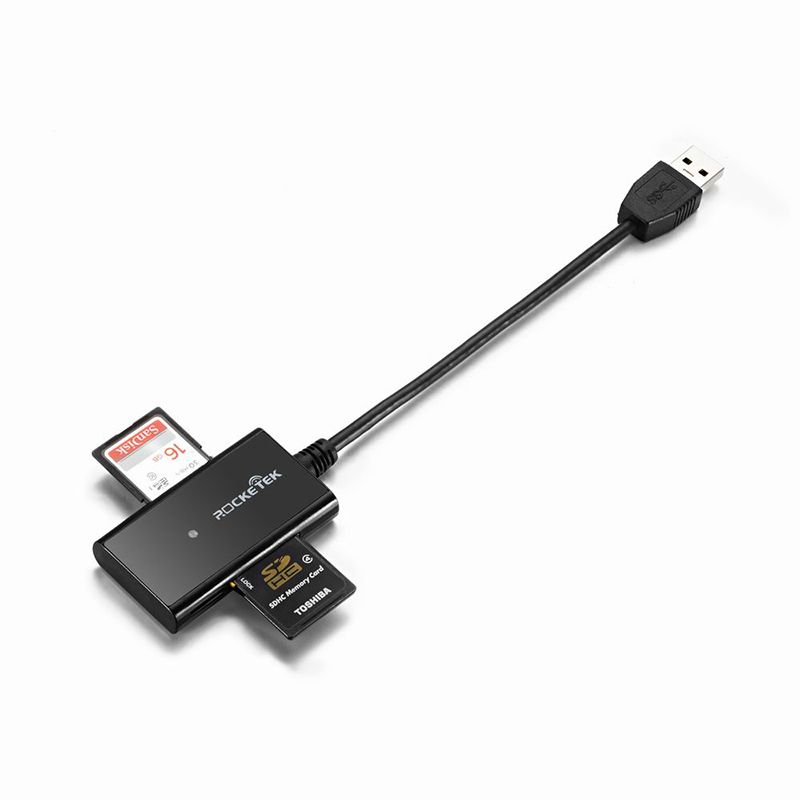 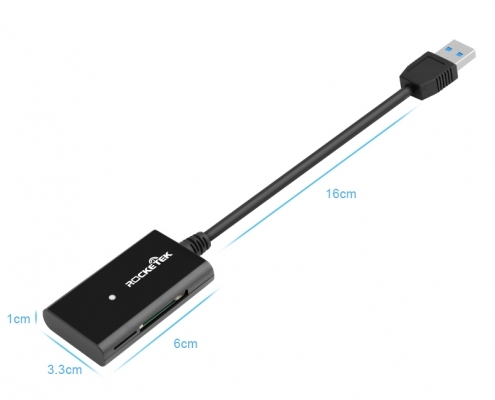 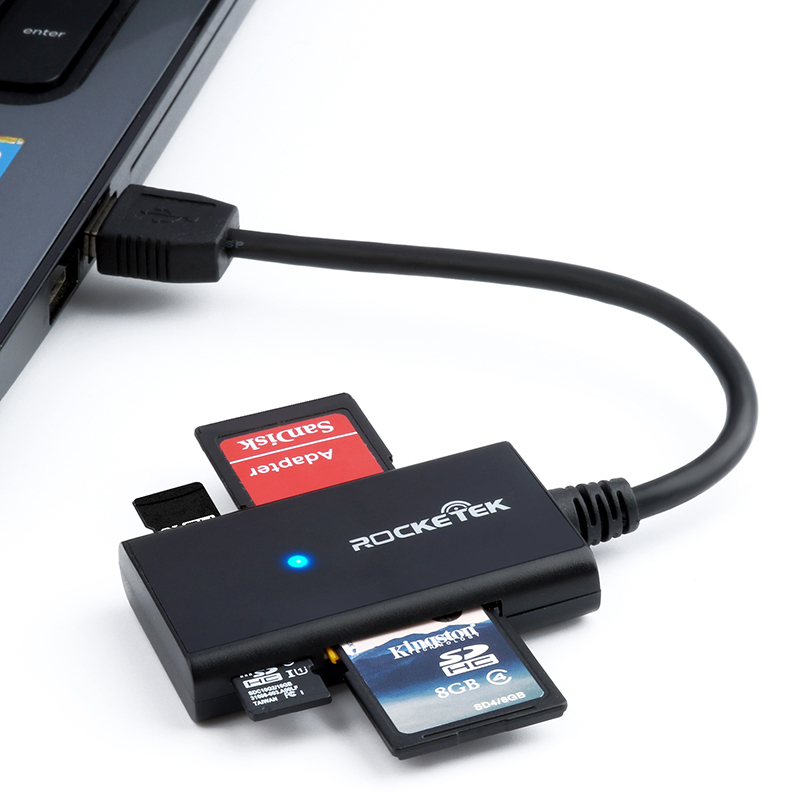 Rocketek 11 in 1 SuperSpeed USB 3.0 Card Reader base on Easy portability design, with a 130mm flexible USB cord to enable connections in tight spots next to larger USB plugs. 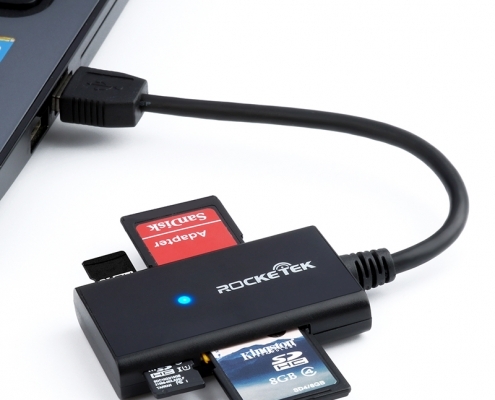 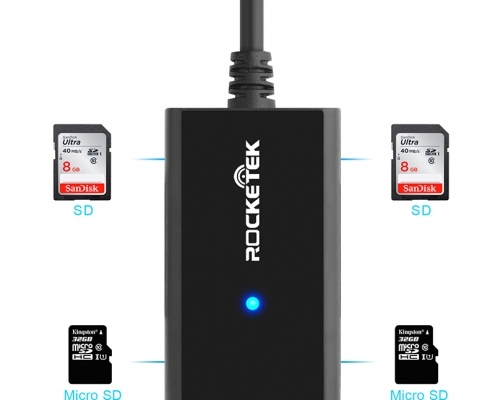 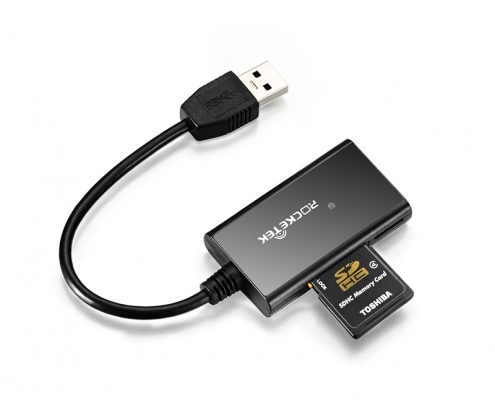 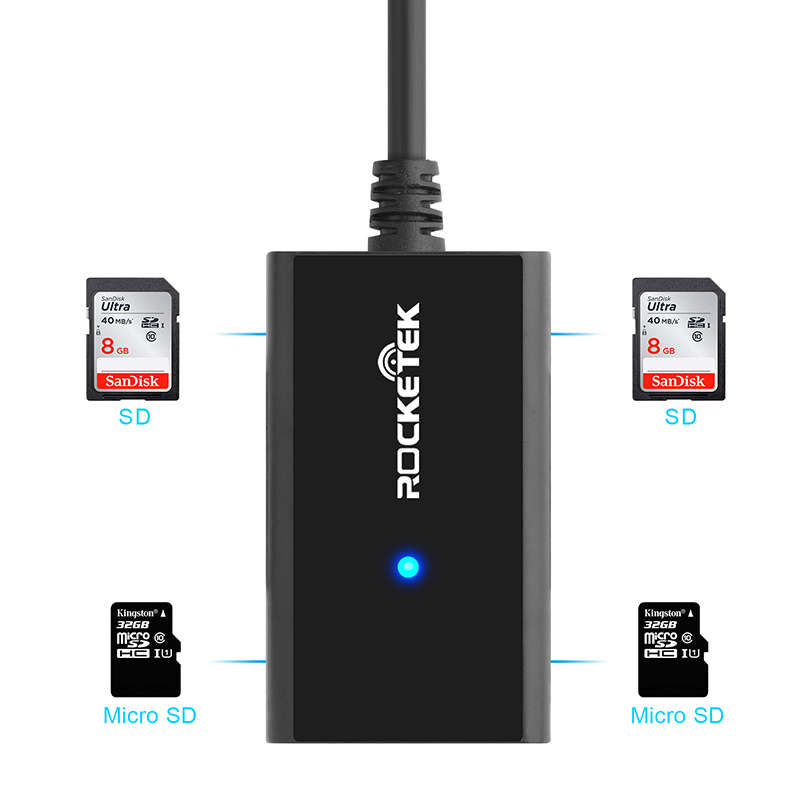 The Rocketek USB 3.0 dual SD / Micro SD Card Reader is a great option for anyone looking for an easy way add support for the most common storage media types used in common digital cameras, MP3 players, and mobile phones,etc. 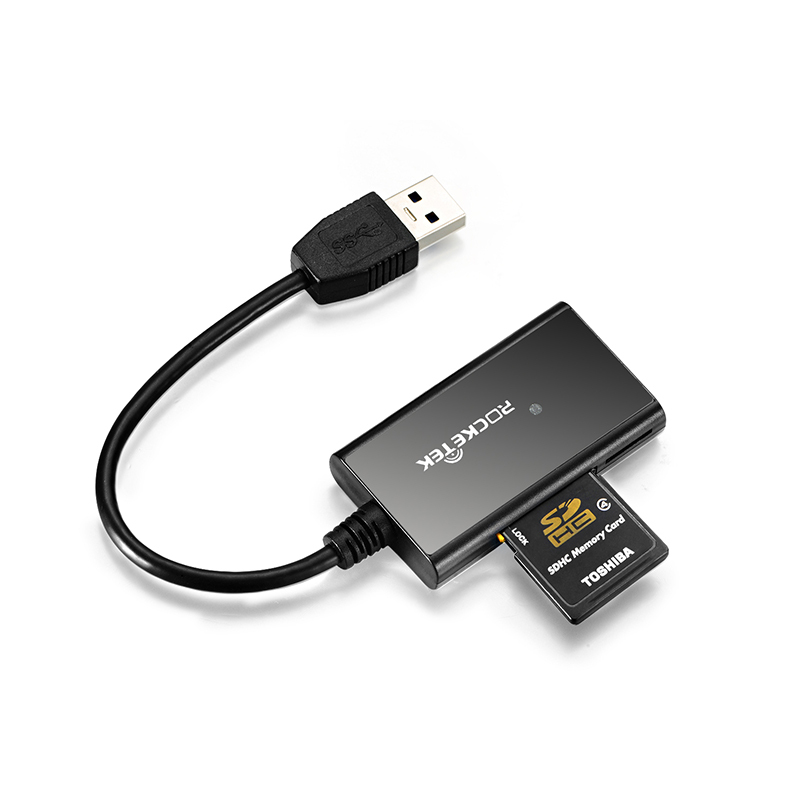 * You can fully enjoy the transfer rates of current high speed cards formats: SDXC, Micro SDXC, UHS-I.